In today’s Daily Deals, B&H offers the Samsung Level U PRO Bluetooth Wireless Headphones for $29.99 shipped. That’s $70 off the original list price, $10 less than Amazon and the lowest we can find for it. Features include: 13mm drivers, dual microphones, and up to nine hours of playback. Also, it has flexible urethane joints and the headphones are sweat resistant. Rated 4/5 stars by over 700 Amazon shoppers. 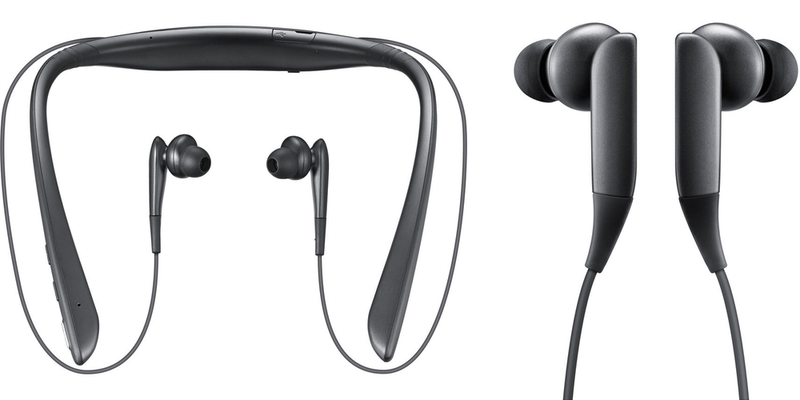 Enjoy high-fidelity wireless audio with Samsung’s Level U PRO Bluetooth Wireless Headphones in black. These around-the-neck style headphones sport an in-ear design and dual-microphone noise/echo reduction for enhanced noise isolation during audio playback and phone calls. They also make use of Samsung Ultra High Quality Audio which delivers up to 24-bit audio along with up to twice the frequency range of standard CD-quality wireless sound. iTunes gift cards are 15% off at Staples, get free apps, TV shows and movies?